As predicted by Cycling Weekly last month, additional hills will be added to the elite men's race for second edition. 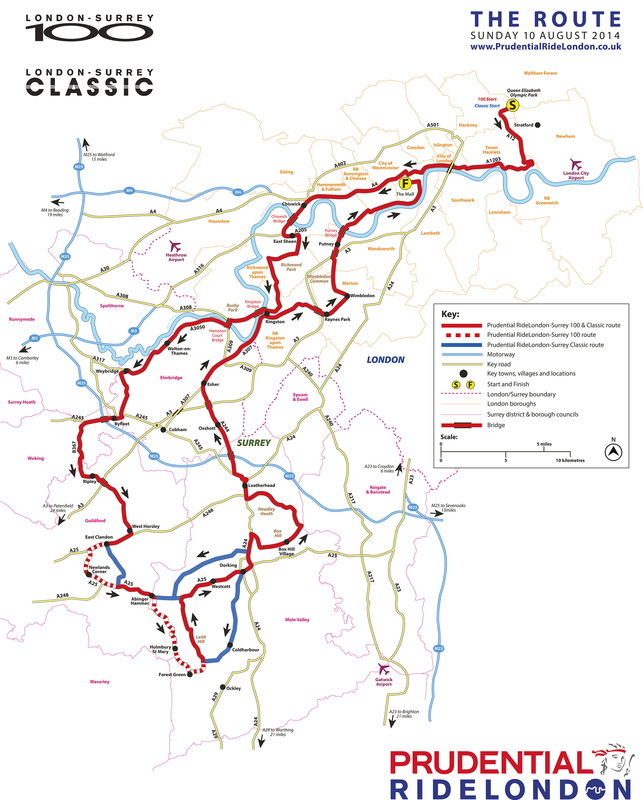 This year’s Prudential RideLondon-Surrey Classic will include additional climbs, including one through the Denbies Wine Estate in Dorking, in an attempt to spice up the racing. Redhill CC and Dorking CC last year used the Wine Estate for a head-to-head hill climb event to great success; the private stretch of road measures around two-and-a-half kilometres long, and has an average gradient of six per cent. It is considered tougher than Box Hill. The second edition of Britain’s highest-ranking one-day race (August 10) will also include Staple Lane, which was used during the London 2012 road events. Other changes to the route of the 200-kilometre race include a modification of the Leith Hill circuit. Instead of tackling the climb to the south-east’s highest point three times as per 2013, the professionals will only climb it once. However, they will then tackle the Denbies loop twice, which takes them up to Ranmore Common, before moving onto Box Hill. FDJ.fr rider Arnaud Démare won the inaugural edition of the RideLondon Classic in a sprint last August. The majority of the route for the RideLondon 100 mass-participation event will stay unchanged for 2014, with the start once again taking place in the Queen Elizabeth Olympic Park. One notable change is that riders will pass through Oxshot en route to Esher from Leatherhead, as opposed to via Cobham. They will tackle Leith Hill and Box Hill once, but will miss the other climbs included in the elite men’s race. A complete road closure will be in place for the 100 event as per 2013. However, once all riders have passed over Hampton Court Bridge on the return leg into the finish on The Mall, organisers will use rolling road closures wherever possible in Surrey for the elite men’s race. As reported in CW last month, Surrey County Council believe this will allow 24.6 of the 57 miles of roads used in the region to be opened “much earlier” than the 2013 event. The 2014 Prudential RideLondon, the capital’s Olympic cycling legacy event, begins on Saturday August 9 a FreeCycle through traffic-free street. The RideLondon Grand Prix, comprising of an elite women’s criterium and support races around St. James’s Park, follows in the evening.